Extending along the spectacular north-west Kimberley coast from just south of Yampi to just north of the Prince Regent River, Dambimangari country includes some of the highest priority land for conservation in Australia. It includes a large proportion of the only area on the continent to have suffered no animal extinctions since European settlement, and is home to a suite of threatened and culturally significant species. DAC and AWC have developed an innovative partnership under which AWC helps deliver management of 800,000 hectares, consistent with the Dambimangari Healthy Country Plan. The partnership builds on an existing relationship working together at Yampi Sound Training Area, which is also part of the traditional lands of the Dambimangari. The partnership is the first of its kind between a non-government conservation organisation and an indigenous community – distinguished by the fact that it generates income for DAC (as well as other socio-economic benefits), while also delivering measurable conservation outcomes. Dambimangari country is an area of international significance for conservation. Covering 800,000 hectares, the landscape features more than 3,000 kilometres of Australia’s most spectacular coastline, from dramatic sandstone cliffs that plunge into the ocean to low sandy beaches that host important sea turtle populations. Pristine creeks and rivers, freshwater wetlands and rolling savanna woodlands interrupted by rainforest patches provide a diverse mix of habitats. It is a landscape of immense cultural significance to Dambimangari, who have lived here for thousands of years. Dambimangari country is a stronghold for threatened and endemic wildlife. It sits in the heart of the north-west Kimberley – the only region in Australia which has seen no extinctions since European settlement. The area is a refuge for several species of mammals that have disappeared from the rest of Northern Australia, such as the Golden-backed Tree Rat and the Golden Bandicoot, as well as species undergoing current widespread declines like the Northern Quoll. 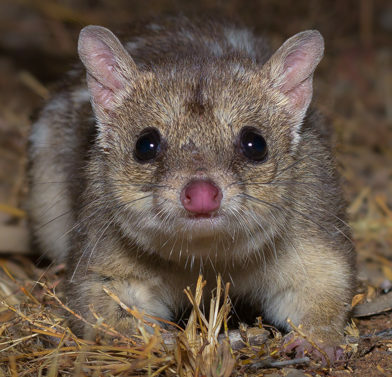 Dambimangari country is home to some of Australia’s most highly threatened mammal species: Black-footed Tree-rat, Brush-tailed Rabbit-rat, and Kimberley Brush-tailed Phascogale. Two of Australia’s smallest rock-wallaby species are found here: the tiny Monjon and the seldom-seen Nabarlek (each weighing about a kilogram) alongside a third, larger relative, the Short-eared Rock-wallaby. Endemic species (found only in Dambimangari country and the northwest Kimberley) include the Wyulda (or Scaly-tailed Possum), Black Grasswren, and Kimberley Honeyeater. Other rare and threatened birds on Dambimangari country include the Gouldian Finch, Red Goshawk and Purple-crowned Fairy-wren. The partnership involves AWC field staff and Dambimangari Rangers working hand-in-hand to deliver land management operations including fire management, feral animal control and weed control. 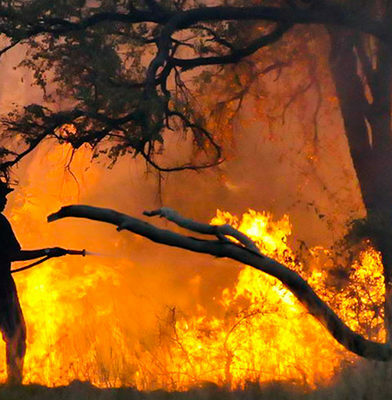 Fire management operations will generate carbon income for DAC from savanna burning. On-the-job training will help build the capacity and expertise of Dambimangari Rangers. In turn, AWC staff will learn from Dambimangari Rangers about traditional land management practices and wildlife. A substantial science program will involve searching in one of Australia’s most remote locations for some of the last remaining populations of species such as the Brush-tailed Rabbit-rat, the Kimberley Brush-tailed Phascogale and the Nabarlek. 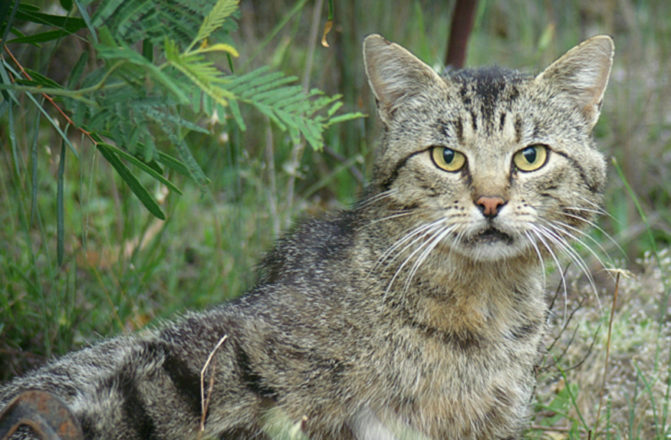 Across the Kimberley, the major threats to wildlife are predation by feral cats, the impacts of feral herbivores (cattle, horses, donkeys, and pigs), and intense, widespread wildfires that occur in the late dry season. In some parts of the Dambimangari partnership area, the extremely rugged, rocky terrain prevents incursion by cattle and other feral herbivores. The complexity of the landscape may also help moderate the impact of intense wildfires by affording protection to pockets of vegetation. The ongoing incursion of Cane toads into the Kimberley presents an emerging threat to native predators like Northern Quolls, freshwater crocodiles, and large goannas and snakes – species which succumb to the toads toxins after ingesting them. Weeds present an issue in some areas, especially around human disturbance and along watercourses. The Monjon is the smallest of the rock-wallabies and is endemic to the far northwest Kimberley region of Western Australia.